I'm really confused what causes the problem. I thought the receiver may be damage. So yesterday I borrowed an unused Pioneer 521 receiver from my friend. This morning, I played CDs with my Oppo DVD player, I think the sound is fine (But I could be wrong since the default one is surrounding mode. Too bad, I can't recall if I actually checked each speaker). Then play the same planet earth BD and I realized there is no sound from front right channel too. Further diagnose showed this is true for both my BD and DVD player, w/ or w/o using HDMI connection for the Pioneer receiver. (The Denon w/o HDMI connection is still fine). I'm confused about what's wrong here. The SONY BD player damaged both receivers? or something else. Any help is appreciated. OK, so let's break it down. Does the problem follow the speaker? In other words, if you were to switch your M80s left to right, does hte problem appear on the left side or on the right? Do you have anything between the BD player and the receiver? Yes, I switched my M80. The problem appears on the other speaker if I do so. I also connected my QS8 as my main speaker. The problem appears too. i.e., the problem is related to both receivers' front right output. I don't have anything between either of my BD/DVD player and receivers. Have you tried another HDMI cable? Yes. Tried different HDML cable. Also cut new wire. How are the two players connected to the receiver? You are using a SONY BD player and an OPPO DVD player. Is either one of these connected via RCA (analog)? I would unplug both players and try another source, for example a cable box. Make sure to unplug both players first and cycle the power to the receiver. You said your receiver went into protection mode, this usually indicates a problem on the output (speaker) which you have swapped so probably not the cause. A speaker cable can also be the problem but again you swapped. The only other reason I can think may be the cause is a bad analog input say the DVD player over RCA. If the DVD (if it is connected via RCA) player output circuit is damaged, there could be a DC voltage present which quite likely cause an issue with the receiver. I don't have other digital source. They are connected to Denon receiver using HDMI. My Denon has only one HDMI input. So the problem happens when I have the new SONY BD player connected to Denon. Once this happened, I tried my old OPPO DVD player and get the same results. So I suspect the receiver is damaged. So I borrowed a Pioneer receiver. I have both my BD and DVD connected to the pioneer receiver. I remember the sound is fine when I played CD on both players via HDMI. But when I played blue ray disk on my SONY BD player, I lost the front right speaker again. Then play CD on either my DVD or BD player on Pioneer receiver doesn't have front right speaker sound too. So my suspection is the new SONY BD player caused the damage of both receivers. What you suppose would seem to be the case, although it feels highly unlikely to me. I tried reset both receivers. No luck. Oppo BDP 93 still the benchmark that others are compared too. I am glad i made the leap. 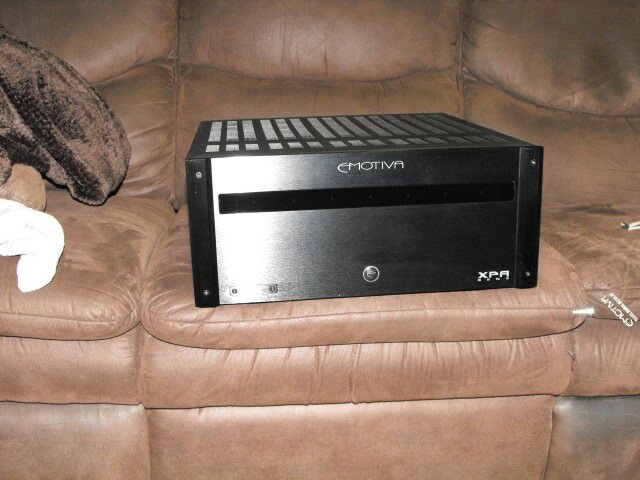 I have a Denon AVR 3311 reciever and thus far have been more than happy with it and had no trouble driving my M80's though its not 4 ohm rated the M80,s really have a very small 4 ohm dip. I also have a yamaha RX A1000 and can highly recommend it as well. The fact i can control both from my smart phone and computer are real plus's.Dont get get too caught up in the whole room correction thing. Its not all its made out to be imho. Got my oppo from solutins AV and they had the best canadian price i could find.